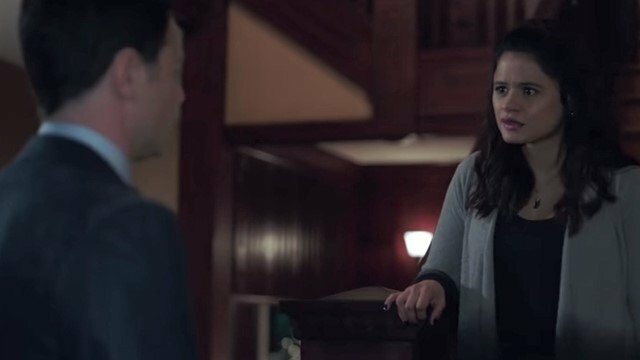 In the previous episode of The CW’s Charmed, the Vera sisters exorcised the Harbinger from Angela, but Trip died in the process. In Charmed season 1 episode 5, the Charmed Ones deal with the aftermath of Homecoming night. The demon who took possession of the Harbinger was living in the world as Alistair Caine, the CEO of Morningstar Biotech. He had sent his offspring, a shapeshifter, to go after Niko and hide evidence. Niko was grieving for her partner’s death and the revelation that Trip was responsible for the deaths of Marisol and other women. Knowing it wasn’t true, Mel struggled to keep Niko from looking into it further. Niko remembered a cabin that Trip would visit, and she was sure anything Trip had uncovered about the women’s deaths would be there. Sure enough, she found a board of evidence at the cabin and took pictures of it. The shapeshifter, disguised as Trip, destroyed the evidence, knocked Niko out, and set the cabin ablaze with green hellfire. Mel saved Niko from the cabin, though her powers wouldn’t work on the hellfire. At the hospital, the shapeshifter tried to kill Niko again by posing as a nurse. Mel asked Harry for a spell to make it so that she and Niko had never met. While it would devastate her, it would be best for Niko. The Elders gave Harry The Book of Shadows since it contained the spell and required the Power of Three. Parker had broken up with Lucy, and she tasked Maggie with determining who the other woman was. Unfortunately, the answer was Maggie, since she had kissed Parker to distract him from the exorcism. Maggie distracted herself with Macy’s problem. Galvin had suddenly met someone else, a seemingly perfect woman named Summer, and he didn’t seem like himself. They described the situation to Harry, and he thought she could be a succubus. He told them to look out for hints of wings and a tail on her and a mark on Galvin. Macy felt they had seen the evidence when they ran into the couple at a bar, though Maggie was skeptical. They showed up at Galvin’s apartment, and Macy recited the spell to vanquish a succubus when Summer opened the door, but nothing happened. Additionally, only Macy could see the mark on Galvin. She was able to record its imprint when she went back later to apologize to Galvin. Maggie eventually confessed to Lucy, who declared that she was finished at Kappa. Harry and the Veras prepared the attic for a history rewriting spell. Harry told Mel to say goodbye to Niko downstairs. As she tried, the spell took over, and Niko disappeared. It had unintended consequences though. Mel no longer had her teaching job. The demons also felt the wave of magic from the spell. While they weren’t sure what happened, it appeared that Macy would be central to their next plan. What did you think of this episode of Charmed season 1 episode 5? Let us know in the comment section below! 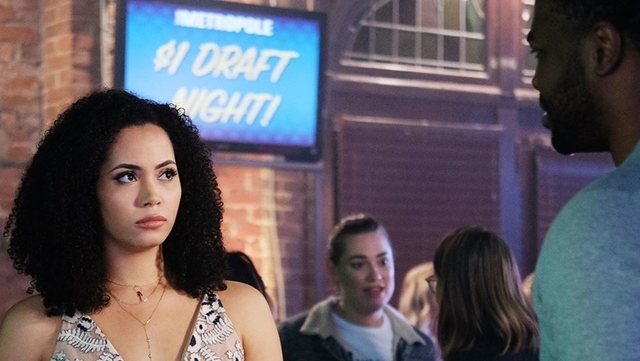 The post Charmed Season 1 Episode 5 Recap appeared first on ComingSoon.net.